90″ x 90″ queen size. 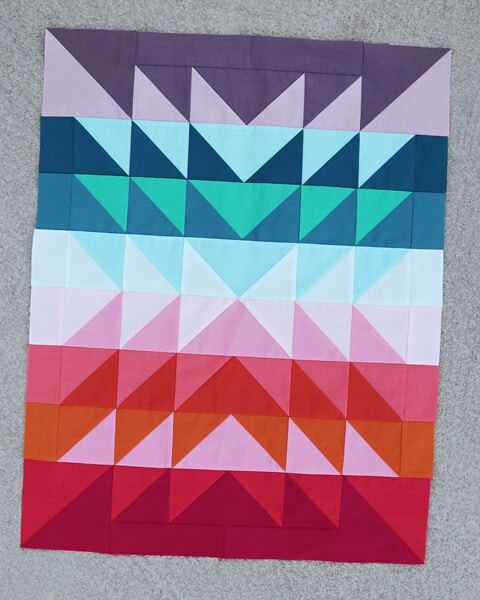 This quilt is not difficult to make – perfect for those new to sewing. 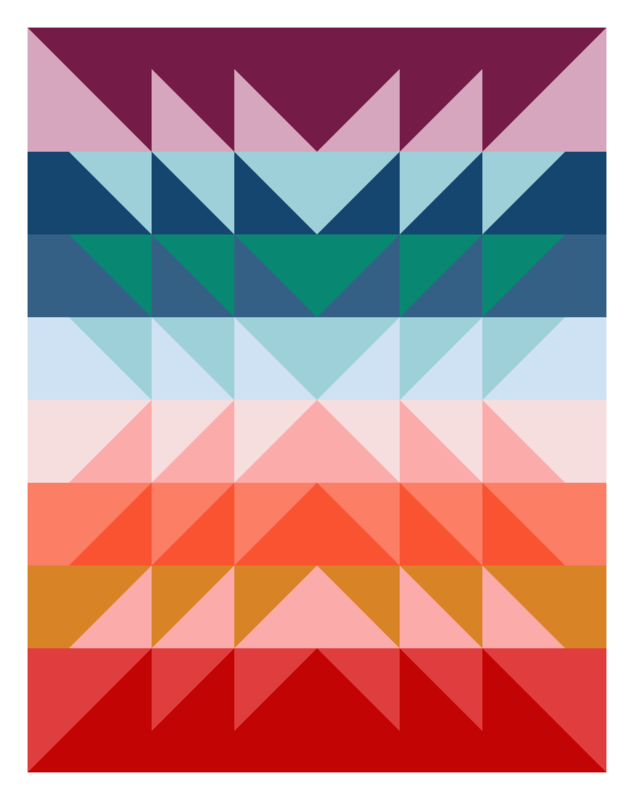 It’s bold and bright and provides ample opportunity to play with color. 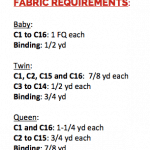 Click on any of the photos below to enlarge them, and to see the fabric requirements. 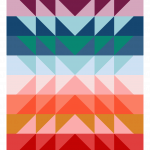 This product will be emailed automatically to your inbox in the form of a downloadable link. You will be able to access the link three times before it times out – so make sure you save the pattern to your hard drive before then! Please note – because this is a digital product it cannot be returned for a refund. Please email me if you have any problems – I’m here to help you. 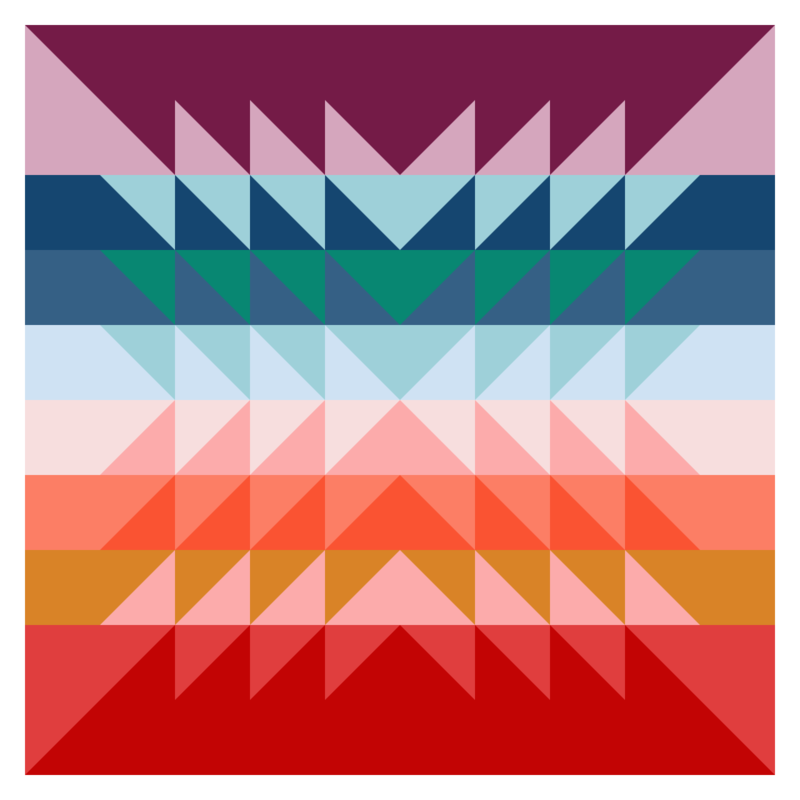 This pattern is subject to copyright – you are not permitted to copy, give away, or sell any part of this pattern in any form (paper or electronic). 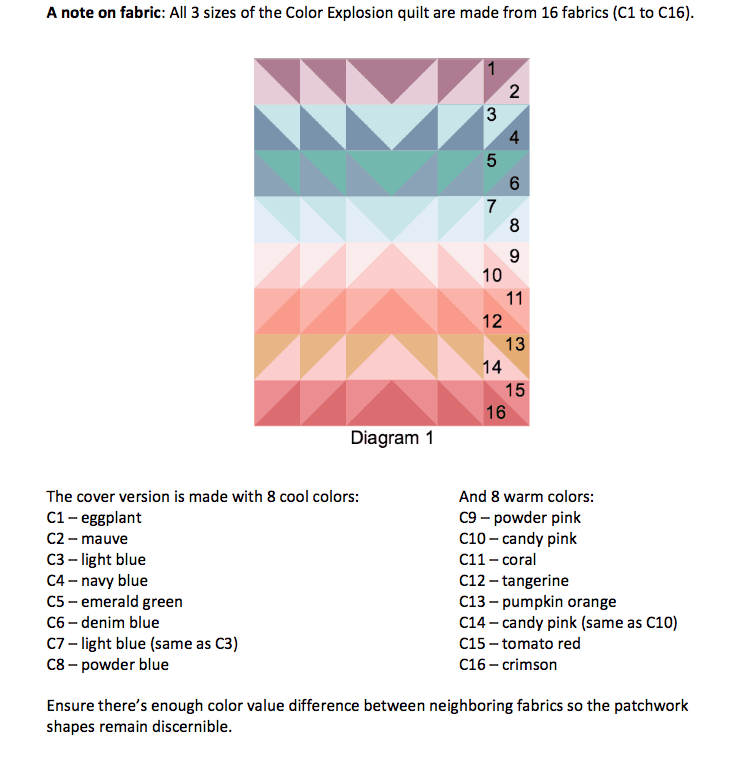 If one of your friends wants the pattern, direct them here! Small businesses can’t survive without your support. 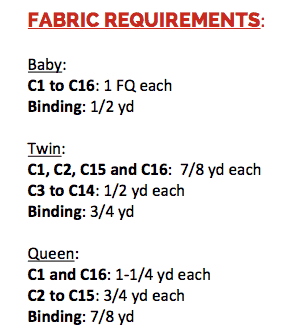 Home sewists are free to sell quilts made from this pattern at markets, on Etsy, etc. Large scale production is not permitted. 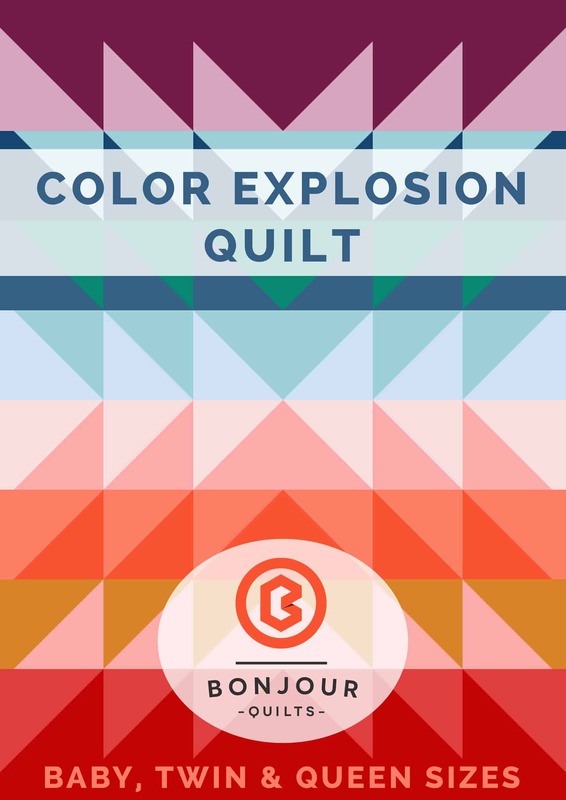 Unless stated otherwise, all content (text and photographs) belongs to Bonjour Quilts, so please do not use without permission. The use of a single photograph and a link back to the site is fine, for educational or informational purposes, but please don’t republish more than this in any form (digital or paper). Do not take my photographs and offer them for download (free or paid) on your website.